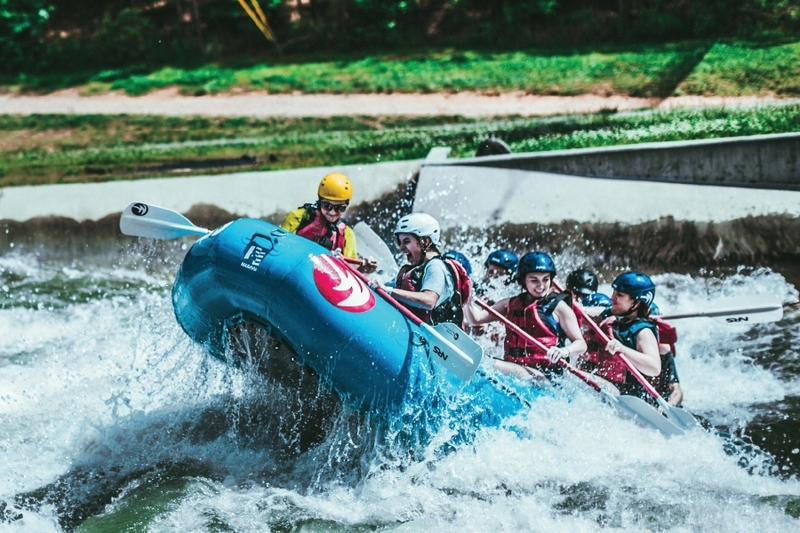 The National Whitewater center has been promoting access to the outdoors for all ages and skill levels with its 30+ land/water-based activities, certification programs, festivals, races, films, and various outdoor events throughout the year. Guests can enjoy whitewater rafting and kayaking, flatwater kayaking, stand-up paddle boarding, rock climbing, zip lines, ropes courses, a canopy tour, and mountain biking on our 40+ mile trail system. The River’s Edge, Pump House Biergarten, Adventure Dining opportunities, as well as multiple event/ meeting venues, offer relaxing experiences after a long day of outdoor adventure.